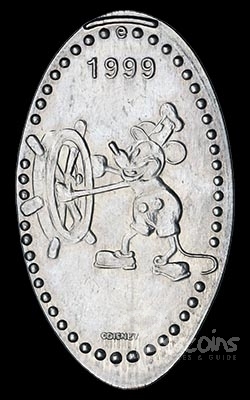 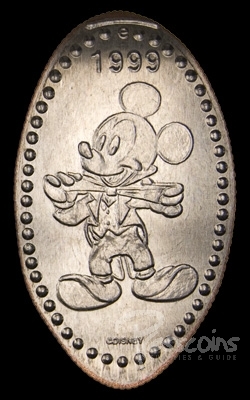 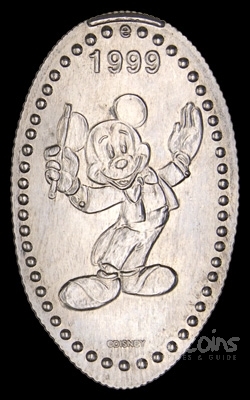 The 1999 commemorative pressed quarters that appeared at the beginning of 1999 were basically the same designs as the previous Mickey’s 70th birthday celebration. 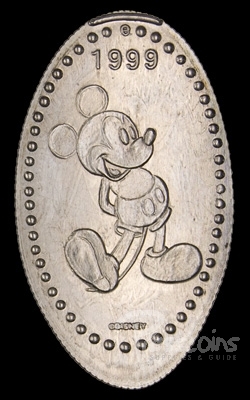 The year on each design was changed from 1998 to 1999. 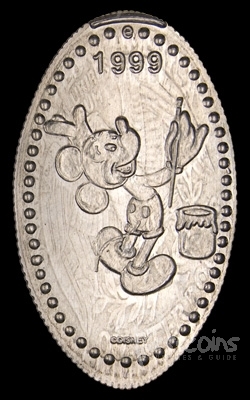 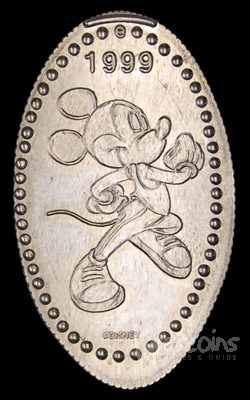 As in the previous celebration, this series consisted of 17 quarters that could be found in single die machines located at Pleasure Island, Fantasia Gardens and the other Walt Disney World resorts. 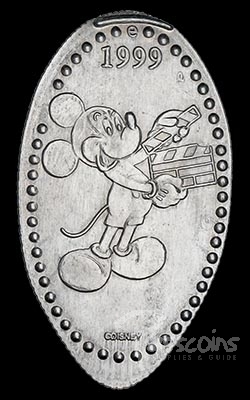 There were 17 coins for the 1999 Celebration.